The RWT Chili Cookoff – The Roundup! I’ve almost gotten through enough of the holidays that I can get back to blogging at a serious clip. This year’s merriment put a hurt on me. I can still fit in my jeans and my corduroy pants, so at least there’s that. One more meal – a blowout New Years Eve meal – will be my last hurrah and then it’s back on the straight and narrow. In the meantime, a few points of interest. 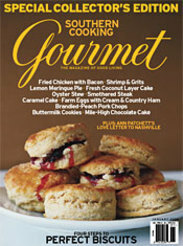 – Has anyone seen the latest issue of Gourmet Magazine? All I can say is…wow. What a thoughtful and interesting issue…and I’m not saying that because it has some of my peeps in it. This issue is all about The South. It’s chock-full of wonderful narratives and history about the wide reaching influence of Southern cuisine. It also does a great job of showing that Southern cooking goes beyond fatback and sweet tea. It’s also nice to see some local folks getting some much deserved press: Linton Hopkins of Restaurant Eugene and Scott Peacock of Watershed (in a touching article about his relationship with Edna Lewis). DirtySouthWine – I love this blog. Hardy is from here in Atlanta. His blog is full of humor and great wine & food tips. His wine choices are unusual and not your chain store wine picks. It’s fun and a good read. CurdNerds – I came across this site when I was researching what to pair with Reblochon. It’s a really cool, informative site. Smitten Kitchen – Yes. I am the last food blogger in the free world to find this blog. It’s so good. Just go. – One last thing: The deadline for the RWT Chili Cook-off has been extended to Sunday January 7th, 2008! I have gotten several entries…but this will give folks that were just too busy with the holidays a chance to get in on the challenge if they so choose. Check out all of the official details here. Hello – I read your blog about the January issue of Gourmet Magazine,it’s feature on Edna Lewis and article by Scott Peacock. I was privileged to get to know Miss Lewis and Scott during the last years of Miss Lewis’s life. I am a documentary maker in Atlanta, Georgia and I’ve produced a documentary about Edna Lewis. The link is on the site. When you go to Gourmet.com, you will see a photo of Edna Lewis online. Click on the photo and you will have some choices of other links. One is my documentary, Fried Chicken and Sweet Potato Pie. My website, http://bbarash.com/index.htm has more information about the film and the story of Miss Lewis. I have to go pick it up. Thanks for the heads up, as I have been out of the loop. Rachel Ray just had a show on ATL and mentioned Watershed. Way cool. Glad you can fit into your pants – wish I could! Ha! Ha!